Dr. med. Martin Wiewiorski is collaborating with the Osteoarthritis Research Center since its formation. Following his graduation from medical school in Muenster/Germany, he was employed as a Research Fellow in the Foot and Ankle Team of Prof. Victor Valderrabano. During this 12 months, he wrote his doctoral thesis and lay the foundation for his later research career. After working two years at the Trauma Department of the Bergmannsheil Bochum/Germany he returned to Basel and became resident at the Orthopaedic Department of the University Hospital. He finished his training under the supervision of Prof. Victor Valderrabano and is a board certified orthopaedic and trauma surgeon since 2014. He was appointed junior consultant in January 2014. His clinical focus is foot and ankle surgery. He trained at Harvard Medical School in Boston in an 18 month Research Fellowship supported by the Swiss National Science Foundation and the Swiss Society for Orthopaedic Surgery and Traumatology. His research focus is cartilage repair, and cartilage imaging and biomechanics. In his research career, he was funded approx. 250’000 USD in competitive funding. 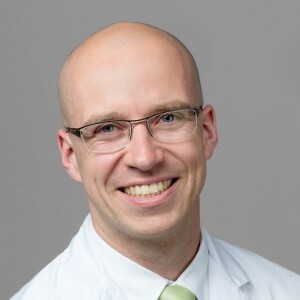 Dr. Wiewiorski is a member of the following societies: ICRS, AOFAS, SGOT, AGA, GOTS.